Thank you for your interested in helping us translate our themes. When support for repository themes was added to the Translating WordPress project all existing theme translations have been migrated and imported here. 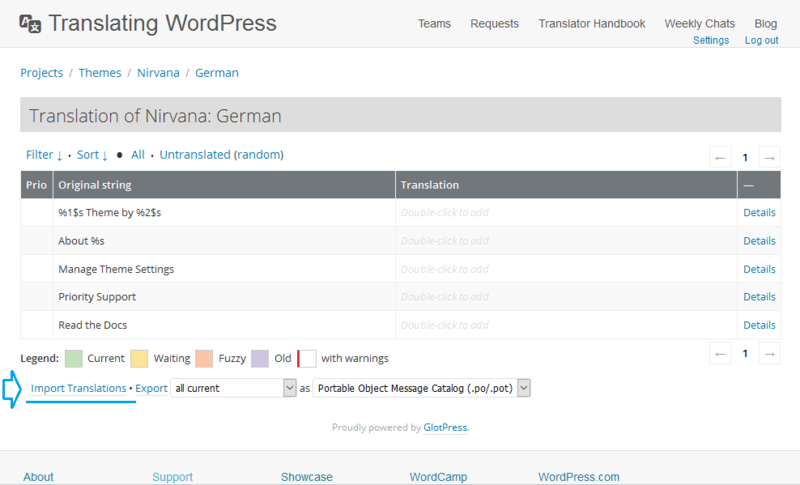 To improve or contribute a translation you’ll need a WordPress.com/.org account. Navigate to the desired theme translation URL (listed below) and select your language to see the list with all translatable theme texts. If you have worked on a local site and have a translation .po file, you can use that file and import it into the Translations system after navigating to the correct theme and selecting your language.